There is something I have been very excited about for a while now and I haven't managed to tell all you lovely people about, that is a brilliant event that is going to be taking over Manchester Central on the 26th September this year, if you are in the area, love plus size fashion and want to meet up with genuinely lovely people this is the place to be, it is non other then The Curve Fashion Festival and I cant wait to go. The day is going to be so exciting, there is a huge hall where all the fashion stalls are going to be, with high street stores including New Look, Evans and Simply Be as well as many others. Online retailers BooHoo (hehe when ever I say it I always sing the song boohoo.com), asos curve, and Very and LOADS of independent retailers, including one of my favourites which I will tell you about later. There will be 2 catwalk shows and seminars. 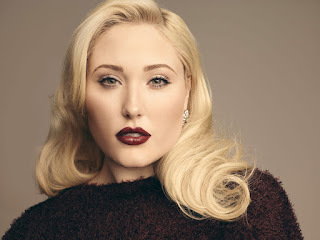 Three utterly beautiful ladies are also going to be there Hayley Hasselhoff, Louise O'Reilly and Tess Holliday (who I am VERY excited to meet again she is such a sweet person) who will also be selling some of her 'Eff your beauty standards' products (thats my favourite I'M SO EXCITED!!!!!) I don't care how much they are I am getting that t-shirt I've been waiting for it in the uk for so long.